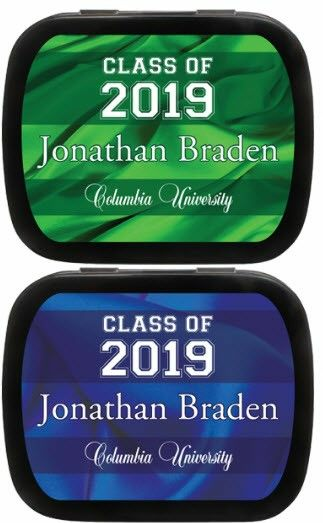 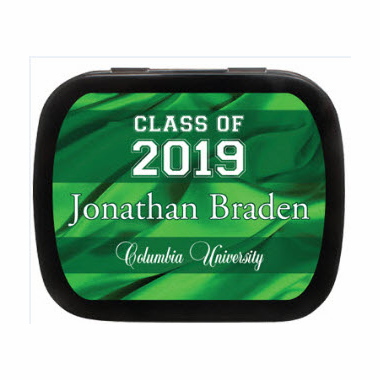 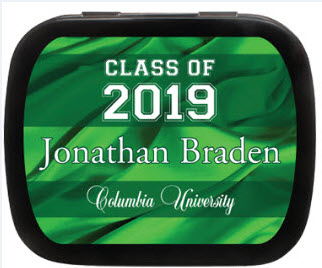 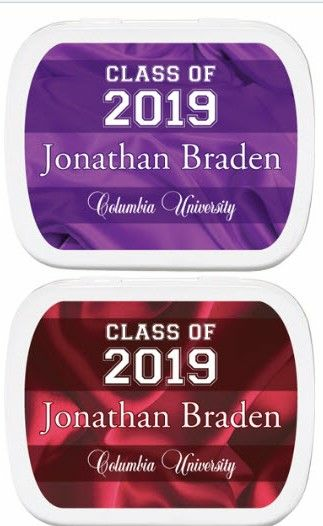 Personalized Graduation mint tins with a satin design are an elegant favor to celebrate the accomplishments of your graduate, or perfect for class reunion ideas! 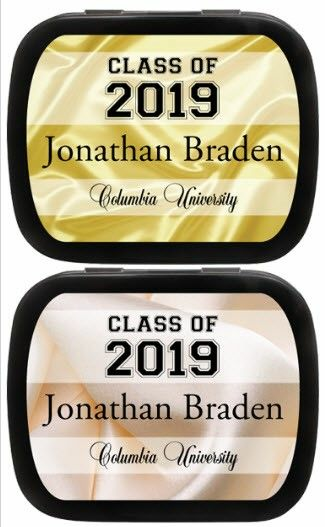 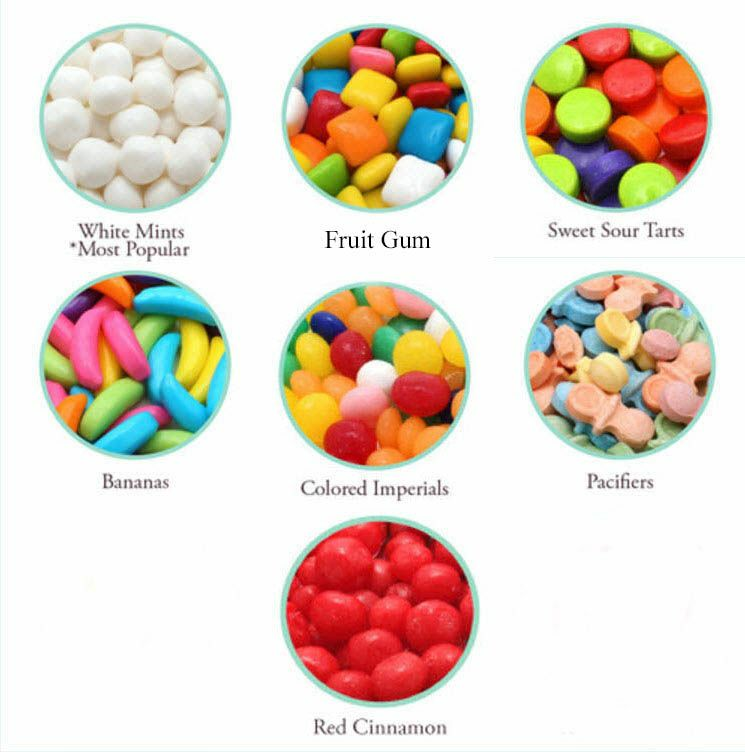 The outside of the tin is personalized with a "Satin" designed label and the inside contains refreshing candies of your choice. 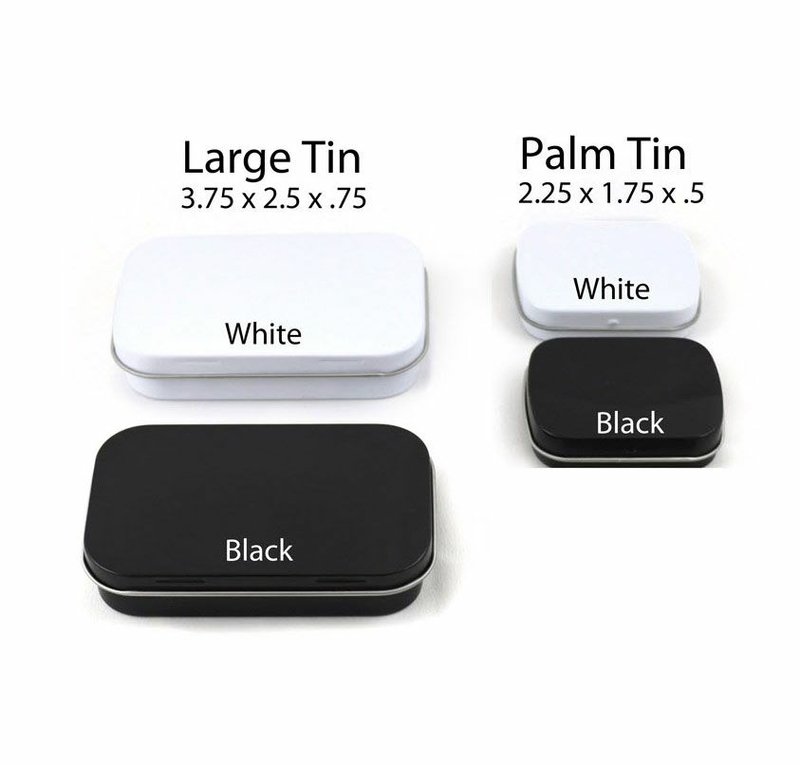 Choose from a white or black tin and a font color - please be advised the black font does not show against the blue satin color choice. 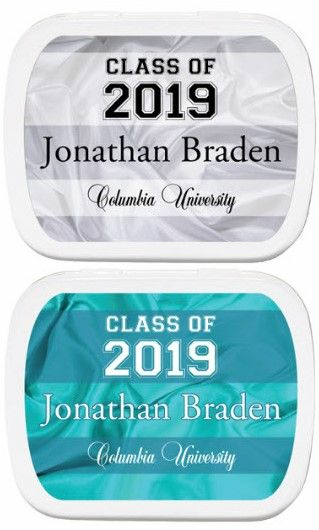 These are very popular college graduation favors and class reunion favors!